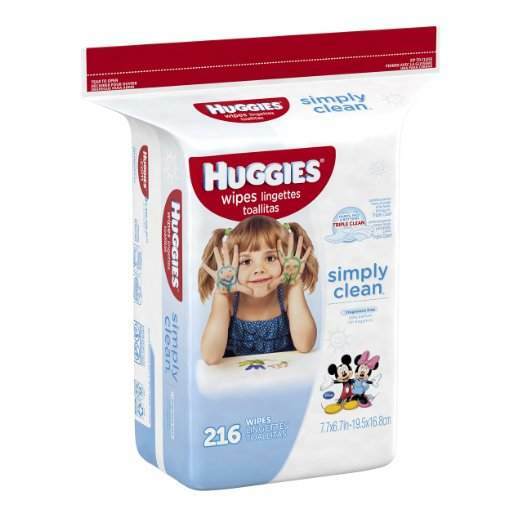 Savvy Spending: Amazon: Huggies Wipes for just 1 cent each shipped! 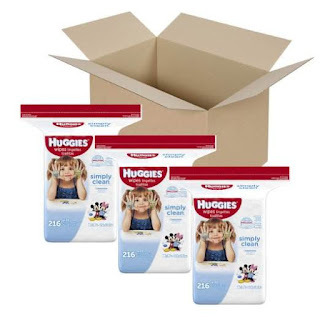 Get a 648 count pack for just $8.32! Amazon: Huggies Wipes for just 1 cent each shipped! Get a 648 count pack for just $8.32! Need to stock up on wipes? Look no further than this HOT deal, shipped straight to your door! Amazon has 648 Huggies Simply Clean Baby Wipes for just $8.32 shipped after you clip the $4 coupon and then choose Subscribe & Save (on the right). That makes each wipe just 1¢ each! Buy now and save for a baby shower or to bless a friend when they deliver! You can even divide this up into three separate gifts, since you'll receive three different packs in your box! That makes each pack of 216 wipes roughly $2.70 each!